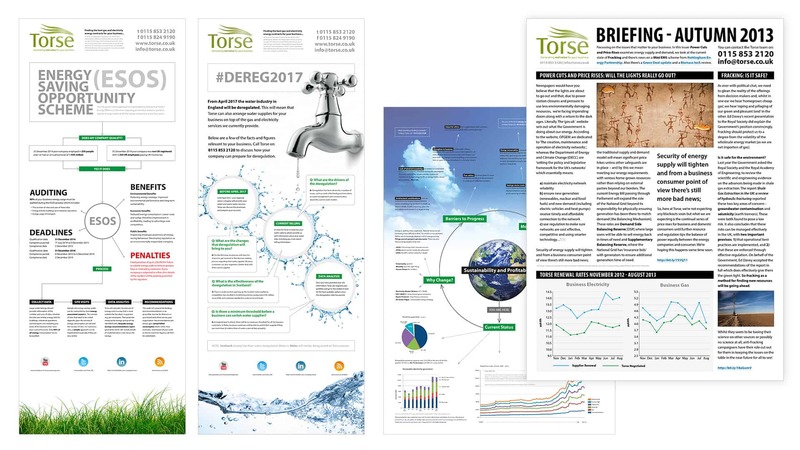 Simcoemedia creates banners, brochures and information sheets for Nottingham based company, Torse Ltd. Topics include sustainability, water deregulation in 2017, quarterly newsletters and large pull-up banners for display at public events. In addition, Simcoemedia is also involved in project management.